The first part of this series focused on testing Plasma Mobile on virtual machine and/or on a PC/laptop. 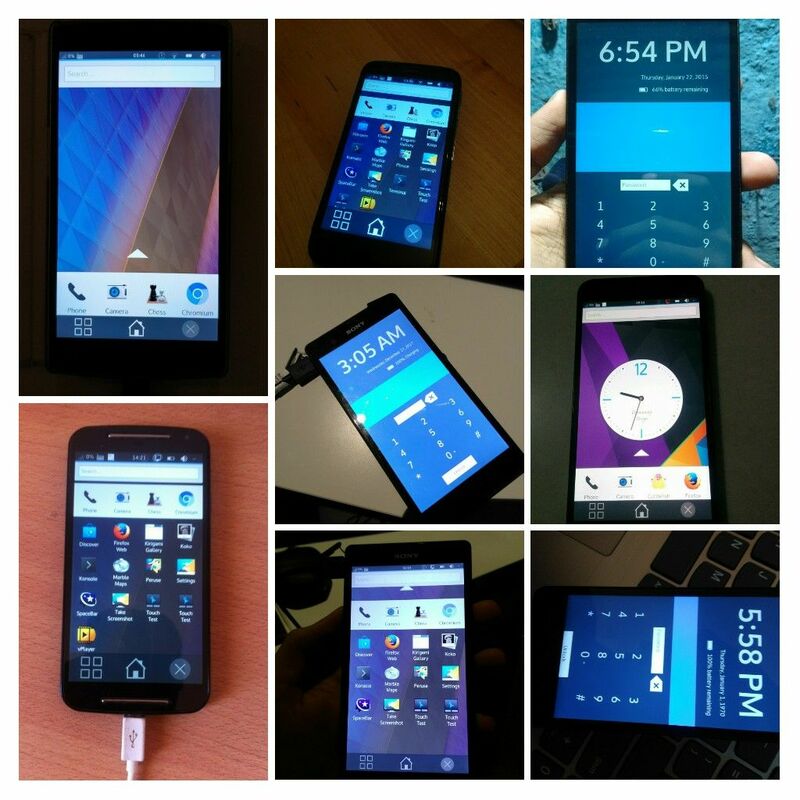 In this second part we will focus on testing Plasma Mobile on actual mobile devices. I will explain both methods briefly in this blog post. Note that some of these steps may involve getting device-specific sources and building them manually, This may require a intermediate knowledge of how to unlock the bootloader, flashing and restoring devices and basic knowledge about various UNIX/Linux commands. postmarketOS is touch-optimized, pre-configured Alpine Linux-based distribution which offers Plasma Mobile as one choice of several available user interfaces. There is a list of the devices that can run postmarketOS, and you can find instructions on installing postmarketOS on your device at their wiki page. An important thing to note about postmarketOS is that it also offers Plasma Mobile on devices running mainline kernel, for example on the Sony Xperia Z2 tablet, Google Nexus 7 (2013), and LG Nexus 5 (partially). More information about Plasma Mobile on postmarketOS project can be found at the Plasma Mobile wiki entry. Video below shows Plasma Mobile running on the Sony Xperia Z2 Tablet, which is running on mainline kernel instead of the pre-installed older kernel version. However note that the postmarketOS project is still at very early stages of development and is not suitable for most end users yet. Halium provides the minimal android layer that allows a non-Android graphical environment to interact with the underlying Android kernel and access the hardware. The Plasma Mobile team provides a Neon-based rootfs which can be used along with the Halium builds. Currently Halium has been ported to multiple devices, however, binary builds are not provided because most of them include binary blobs which we cannot redistribute them legally. Instead we provide a link to the source manifest and you can use that to build your own images. Documentation on how to build and install Halium is available at the Halium website. Plasma Mobile on Nexus 5 and Nexus 5X is using the Halium based images, binary images for those are distributed at Plasma Mobile image server as a reference for other porters and developers for easy testing. You can install on those devices using the flashtool available on Github.